"As an indie musician, I have to balance being an artist and being a businessman. My inner businessman understands why it is not practical to release a full-length album. He knows that EPs and singles are cheaper to make. They do not require a long attention span for listeners and potential reviewers. Who has that kind of time? Right? In terms of sales, the era of the album is over and the single is king. More specifically, the playlist with your single is king. Regardless, I ignored this knowledge and chose to make an album - a full-length album. 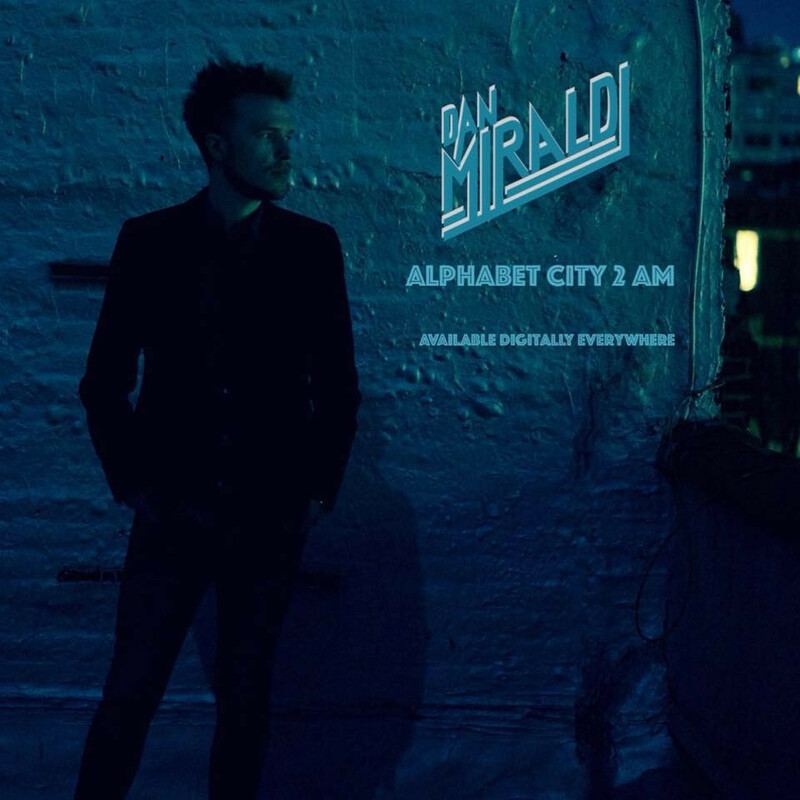 It is called Alphabet City 2 AM and it just hit streaming services. I have always been an independent artist, never been on a label and never had a publishing deal. I do most of my own booking and have never had a manager. I have hired publicists and radio promoters to assist me at key points, but the major decisions, failures and achievements have been mine to manage. Ultimately, it all rests on my shoulders and comes down to how I choose to expend my resources. I recognize my inner businessman and artist have a common goal. Both aspects aspire for success. My artistic side has a vision and my businessman grapples with how to fund a compelling version of this vision. At the end of the day, I want to be in a position to record and release another piece of music that doesn’t just get lost in the digital music abyss. I have a reputation for being old school. I have been called a “rockist,” or one who places rock above all other genres. It was supposed to be an insult, but I’m okay with it. I love rock and roll. Despite the rumor, I do listen to other genres and music recorded after the 1970s, but my heroes are artists like the Beatles, Rolling Stones and Bob Dylan. Sure, they had hit singles and songs that stand on their own, but they made great albums – lots of them. If you ever want to irritate me, put side two of Abbey Road on shuffle. Excuse me – the fab four did not arrange those songs in a random order. They fought with each other and fretted over how best to present those songs so that each one flowed into the next. It was important to them. I am not trying to compare my new album to Abbey Road. I am saying that they created templates that stand the test of time and resonate with me. I have been in the trenches of rock and roll a long time – I have endured DIY van tours, indifference, heartache and rejection. I am sometimes wrecked with moments of crippling self-doubt with my music career. I have stared into the cold, dead eyes of the music industry and saw that no one really knows what is going on. It is a massive scramble. Everyone is looking at the person next to them trying to see if that person has a magic formula that they can steal. Other people may follow different models that work for them. That is fine too. Much hinges on luck. However, what I’ve learned is that my best assets are being real and trusting my gut. That said, I made a Goddamn-full-length-record. Essentially, the artistic voice in my head out-argued my inner practical businessman. To me, the songs on my album came from the same place and time and belong together. The writing of this collection took place between the fall of 2015 and 2016. Composing this record was both cathartic and joyful. In the past year and a half, I had uprooted my life and moved from my home of Cleveland, OH to Manhattan. I was trying out different dating apps and having a pretty great time. I had stories to tell and I put them down in my songs. This record is not a rock opera or anything like that, but the music is unified by the life lessons of twenty-first century dating in New York City. Common themes are woven throughout the lyrics. Ultimately, this ten-song long player is a complete 35 minute and 40 second listening experience that I have curated for whoever is curious enough to hit play. Although I was at times tempted to break these songs up into singles and EPs, I just could not do it. Before I went into the studio, I demoed an album or two’s worth of material. For scheduling reasons, I split the studio recording sessions into two parts. Going into 2017, I was sitting on five finished studio tracks for Alphabet City 2 AM. My plan was to finish recording the rest of the album early that year. However, I pressed pause on Alphabet City 2 AM and recorded Love Under Fire, an EP (yes, an EP) of rock-driven fight songs about civil rights, fear and gun violence. In the wake of the presidential election and in protest of the hate rhetoric of neo-Nazis, I felt compelled to write a political music. (My inner artist told me to fight fascism people need the right tunes!) That collection came out last fall. When I was done promoting Love Under Fire, it would have been an easy and logical step to release the five finished Alphabet City songs as an EP as well. Last winter, I seriously considered that option. I liked how the music sounded. Business-wise, there would be no additional studio costs. Once I was done pushing Love Under Fire, new product would be ready for my listeners. Then, I would listen to the existing finished tracks. I thought about how the music felt to me conceptually. Was it really an EP? I would go back to those other songs I had demoed when I was writing the record. If I had felt like those songs were just filler that would have been one thing. To me, the unrecorded tracks expanded and completed the vision of what I first imagined - a full-length album. I was not going to have regrets. I scrounged up the money, booked the studio time, and, at the end of February this year, five songs became ten songs. As of this writing, my album just came out and people are only now hearing it. I am excited to share it. Looking to my future, I will release singles. I will release EPs. I will release full-length albums. There may be some negotiating with my inner businessman along the way. Most importantly, I will rely on my artistic instincts on choosing which format to use. With Alphabet City 2 AM, I know that there will be people who only fixate on the singles, but I also trust that there will also be listeners who will appreciate the ebb and flow and pacing of the LP I have created. You can put it on shuffle if that is your thing (I appreciate the plays regardless), but I thought long and hard about the track order and how each song sits next to the one before it and after it. I guess the only way to decide whether I was right or wrong is to sit down and listen to it … all the way through. "